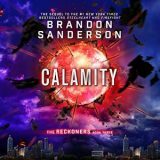 Calamity by Brandon Sanderson is the last novel in the Reckoners series and one of my most highly anticipated audiobooks this year. I have had such a blast listening to MacLeod Andrews narrates this action-packed series and love the characters within. Sadly, while I enjoyed Calamity it ended up fizzling and did not deliver the intense epic final battle I craved. As a reader, I am sure you often wonder what draws another reader to a particular book. Is it the cover or perhaps the synopsis? I was drawn to The Shore for a number of reasons. If I am being honest, MacLeod Andrews name listed as a narrator first piqued my interest. Do you do that? The second thing that spoke to me was the setting, as I am very familiar with the shores along the Chesapeake Bay. 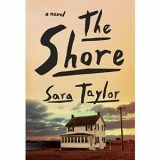 The Shore is a collective of stories and perspectives that both intrigued and frustrated me. 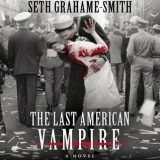 The Last American Vampire by Seth Grahame-Smith is a follow up to his wildly successful Abraham Lincoln: Vampire Hunter novel. I chose to listen as soon as I saw MacLeod Andrews was narrating. This was a riveting alternate travel through history and my travels with Henry Sturges were absolutely delightful. 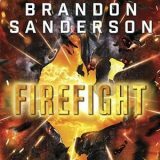 Firefight is the second book in the Reckoners series by Brandon Sanderson. I began reading this series, but after listening to the short story, Mitosis, I decided to switch formats. MacLeod Andrews does an awesome job of bringing the characters, particular David to life. If Superheroes and villains make you grin, then you will enjoy the post-apocalyptic world Sanderson has created. 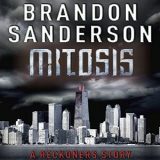 Mitosis is a mini-story set between Steelheart and Firelight books in the Reckoners series by Brandon Sanderson. MacLeod Andrews narrate the audio and he nailed David. While the story is only one hour and three minutes long it has all the things I love about this series. Mitosis while small delivered an evil Epic, news about Newscago and plenty of action.